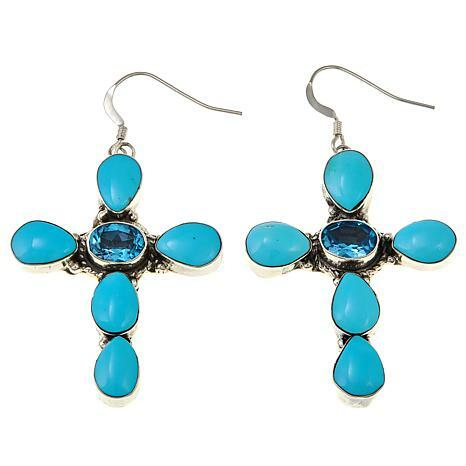 A beautiful testament to your faith or not ... Cherish the rich tradition of these handcrafted Kingman turquoise and blue topaz cross earrings — made in America. 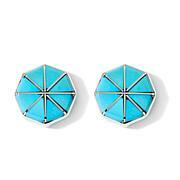 These earrings are absolutely gorgeous and match the pendant perfectly. 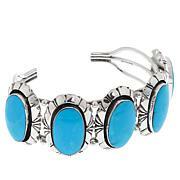 The turquoise is so blue that it glows and has no matrix. 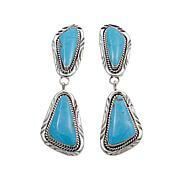 The blue topaz is beautiful, too.